I'm creeping into the mindset that planking is b.s. Well, at least the flavor enhancement part is. Wood flavors food through smoke, and with little to no smoke created when planking, there is little to no benefit in that area, at least in my (changing) opinion. 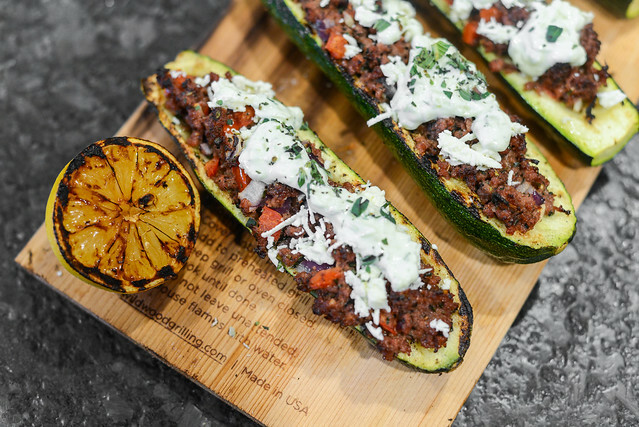 However, I do see a distinct advantage to planking in the realm of convenience—the plank can serve as a great medium for delicate or small foods that would otherwise be difficult to grill, plus it then makes an attractive serving dish (assuming you didn't scorch it to death) that adds the aura of outdoor grilling. 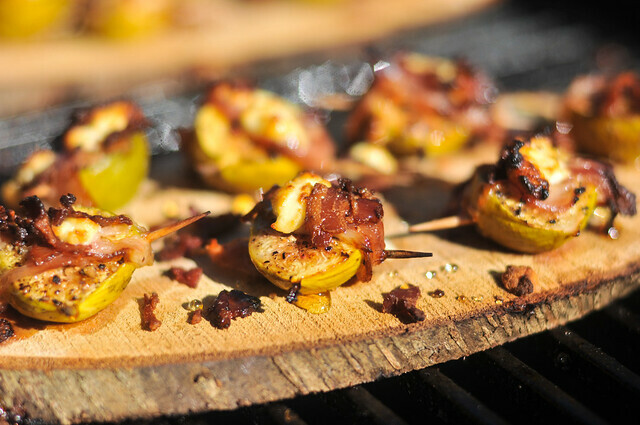 So when approaching this recipe for figs with pancetta and goat cheese, I saw the plank as almost essential to be able to grill and serve these small delicious fruits with ease. Whenever the cold and/or snow has decided to give me a break the past month, I've spent my time outdoors trying to get a killer basic rotisserie chicken. 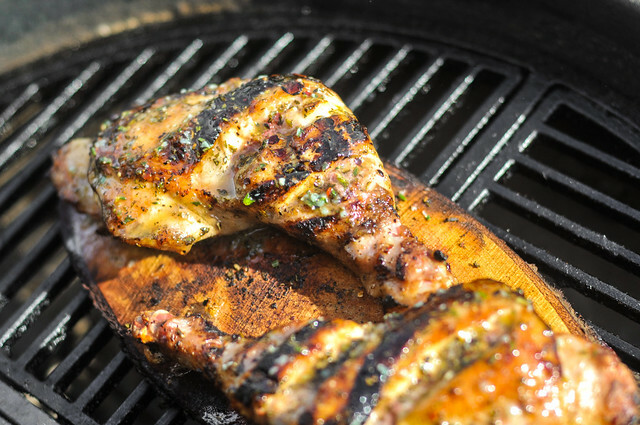 As much as I love the delectably skin and juicy meat of a rotisserie bird, I'm a man who loves big flavor in his food and would trade subtlety for excess on most occasions. 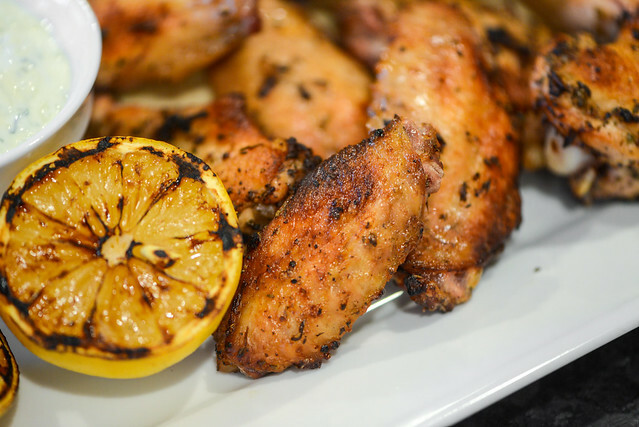 That's one reason these planked chicken quarters with lemon and herb were one of my favorite chicken dishes to date—you get that chicken flavor, but the acidic lemon and fresh herbs bring it to heights that makes a comparatively plain chicken dish pale in comparison. New Years resolutions be damned! I ended the year a healthy 10 pounds lighter than I started it, so instead of resolving to eat better and shed extra weight, I'm going to take full comfort in gut busting winter fare. What says that better than meatloaf? 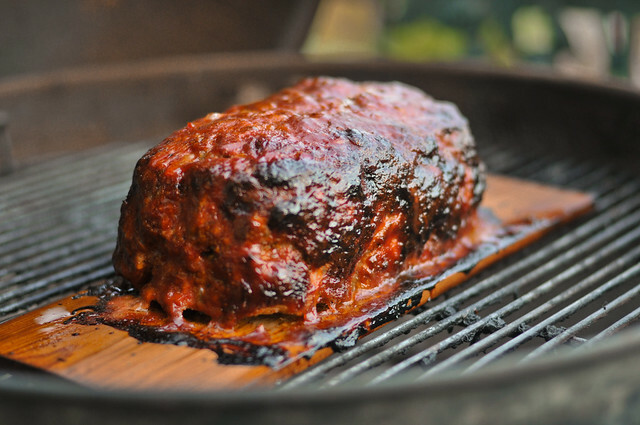 Yes, nearly two pounds of sheer meat in a towering loaf with a sweet glaze is just the perfect meal where excess far outweighs nutritional value and, most importantly, tastes awesome.